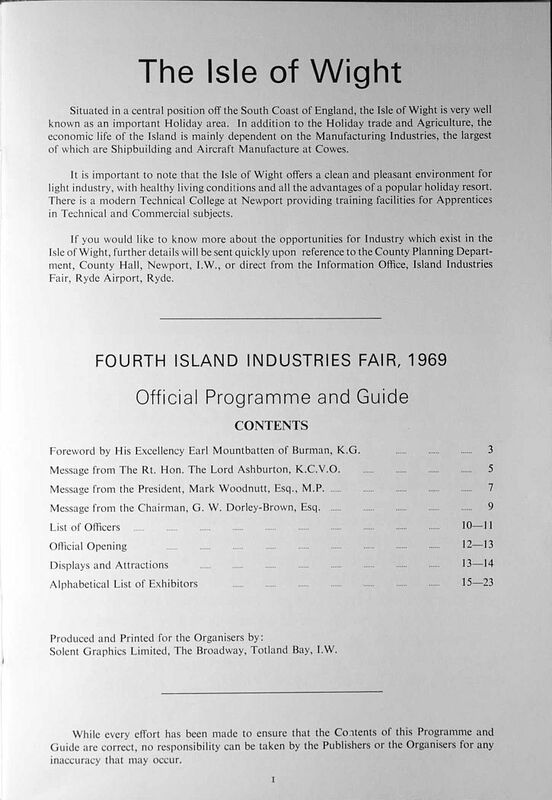 The 1969 Isle of Wight Festival of Music was not the first large outdoor event with tents to take place on the island – every two years for ten years there had been an Island Industries Fair, held in 1969 at Ryde Airport. 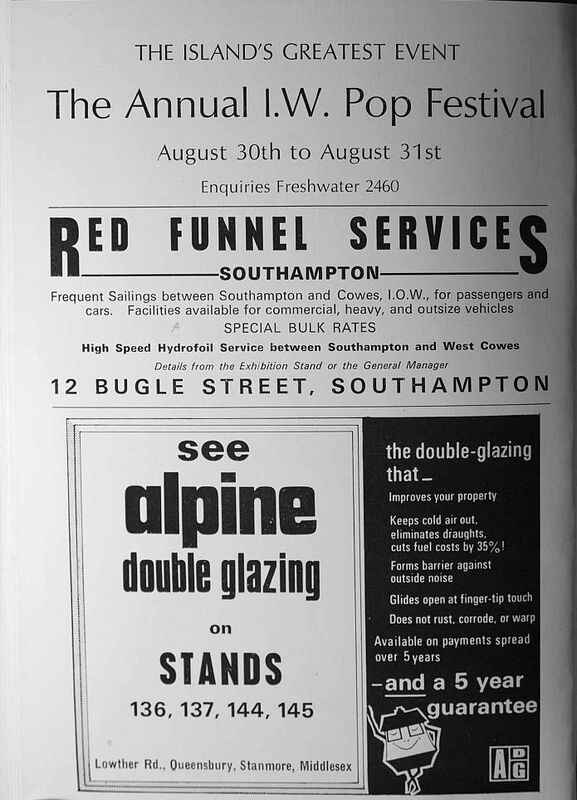 Both the standfitter/tent man for the IIF (Capt Bill Lewis) and the electrical contractor (Ken Blake) went on to do the same jobs for the Dylan fest. 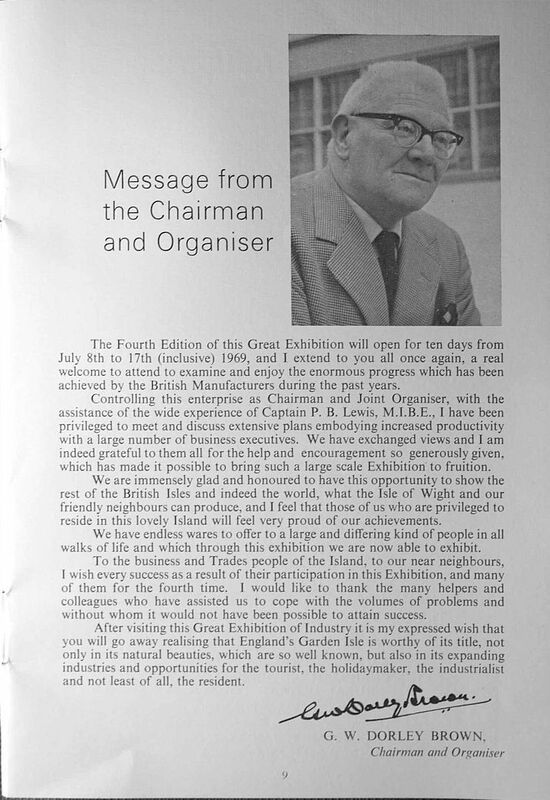 I’ve been unable to find a single reference on the web for these shows, and am indebted to Chris Dorley-Brown, grandson of the IIF’s organiser, for sending me scans from the 1969 programme. 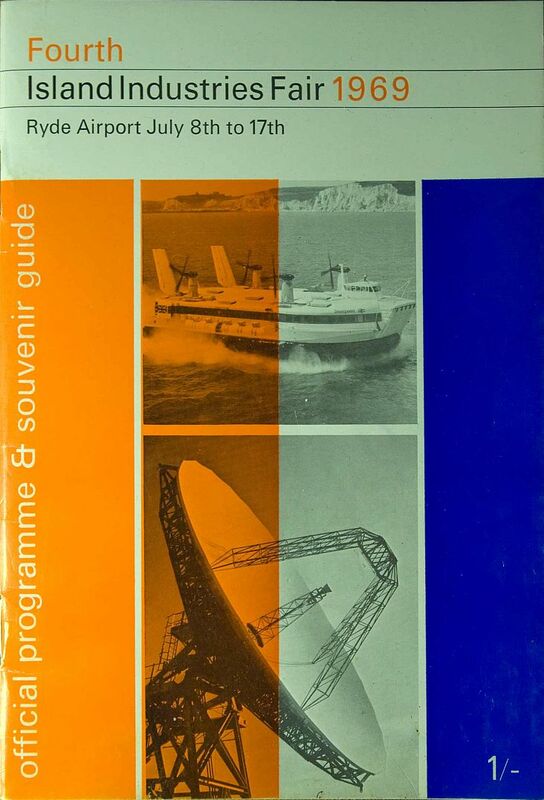 The ‘Pop Festival’ is mentioned in a Red Funnel ad (see thumbnails); so is Captain Lewis, as I recall the oldest man in the UK to hold a pilot’s licence at the time. Bill Lewis brought (allegedly) the biggest marquee in the UK to the festival, which served as a disco and sleeping tent till hundreds scrambled onto it for a free view and it collapsed (see article about the site, below). I have some home movies of Mountbatten at the IIF, taken on the same reel of Super 8 which shows Joe Cocker, the Who, Marsha Hunt and Free. Personally I found the latter names a lot more interesting. 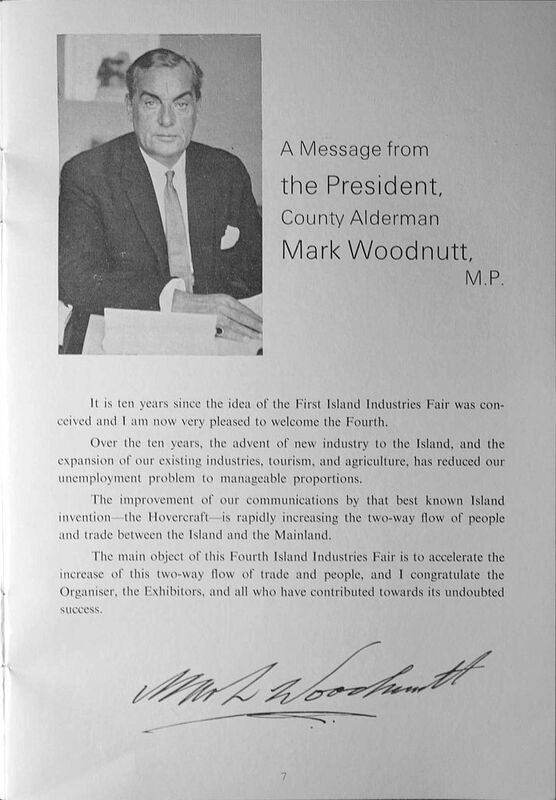 One other boon of the IIF programme is that we now have a photo of the ill-fated Mark Woodnutt MP, first on the web! If anyone else has any mementos of 1969, please let me know! Let’s hear it for Martin “Mark” Woodnutt, Tory MP for the IOW from 1959-74, fan of Enoch Powell, member of the far-right Monday Club, hanging enthusiast, and the man whose Isle of Wight County Council Act put an end to the first festivals and paved the way for further anti-festival legislation affecting the whole of the UK. 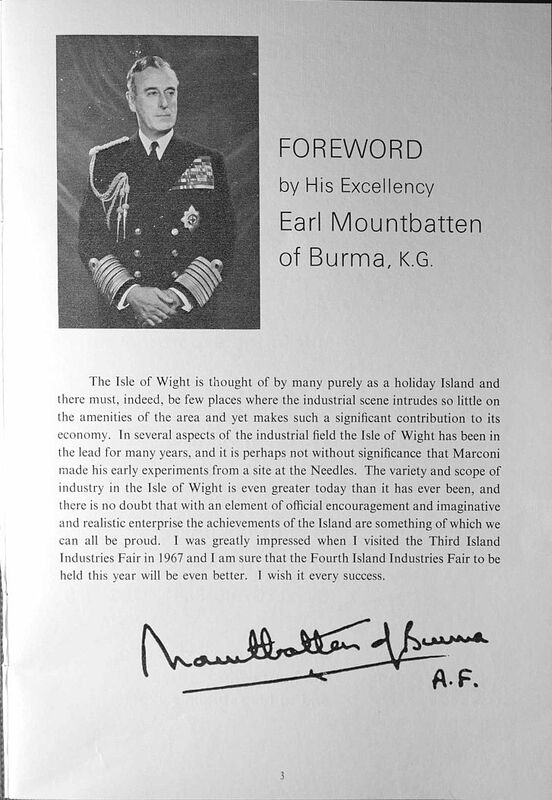 Sadly Mark got his hands a little dirty lining his pockets in the development of Bembridge Harbour and was summarily dumped by the island electors in 1974, dying before the end of the year. By 2002, when festivals no longer had anything to do with undermining capitalism – quite the opposite – the IOW County Council voted to continue the tradition of large campsites, expensive refreshments and loud music. But you can bet there are still a few retired colonels and admirals hankering for the days when their champion smote the hippie menace. 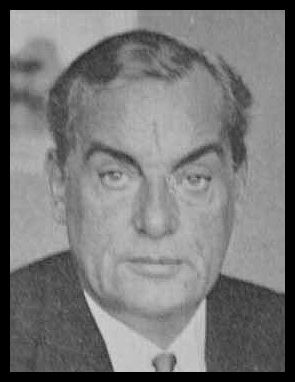 nb the picture of Woodnutt above is merely an impression; mysteriously, no photos of the legendary MP exist in cyberspace. 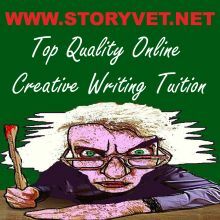 Though there is a wealth of material on the web about the 2nd Isle of Wight Festival of Music, I’ve been unable to find anything pinpointing the actual site where it took place. Checking the overhead shot from Pathe News, however, it’s clear that it happened in the area shown right, at the top of Palmers Rd, Wootton Bridge. Several things have changed since. 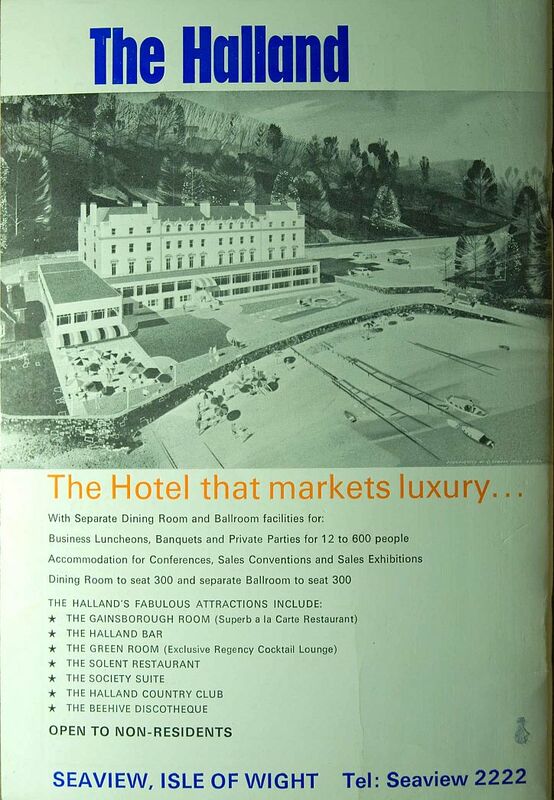 The bungalow which stood backstage behind the helicopter landing pad (H, see larger pic below) has been demolished and replaced by new buildings which stand roughly where the press enclosure had been. That makes sense since apparently the land owned by the bungalow residents extended to that area. The bungalow and its residents can clearly be seen in home movies I have of the Who landing by helicopter, which I hope to upload shortly. I stayed in the caravan which can be just seen in the far left corner of the backstage area. 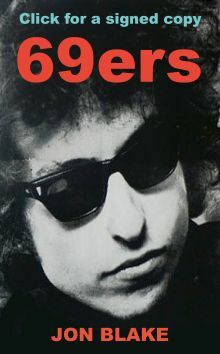 Dylan also waited for his performance in a caravan, to the left of the stage, though this can’t clearly be seen. The disco and sleeping tent just outside the far end of the arena was alleged to be the biggest marquee in the UK. People without tickets got onto the top of this to watch the show. I remember seeing their numbers grow, then suddenly the tent collapsing. You can see long queues for the very inadequate portaloos. There were also tents with chemical toilets. After the show several of these toilets were kicked over and we had to leave our fluorescents hanging there. The temporary shops are just out of shot. They were at the far end of the disco tent, down to the right. The former Warners holiday camp was the other side of the wood behind the backstage area, while Little Canada holiday camp was just past the top edge of the picture. Gates 1 and 2 into the arena can be seen near the two ends of the disco tent; Gate 3 was presumably under the R of ‘British Pathe’. Some trees have changed: the copse at the bottom of the Pathe picture, according to OS maps, was on the site of an old gravel pit, and its ghost can just about be made out on the modern aerial photo beneath Lower Woodside Rd. There appears to be a new copse in the arena area, abutting what would have been the festival fence on the west. The site map (below) is not entirely in proportion, and the site was quite a bit more than 150 yards to the bay. The final map below shows where Dylan stayed on the island, at Foreland Farm, Bembridge. From what I can gather this is now a housing estate between Howgate Road and the sea.